I wasn’t into Pax vaporizers until the Era. It seemed like everybody else was, though. 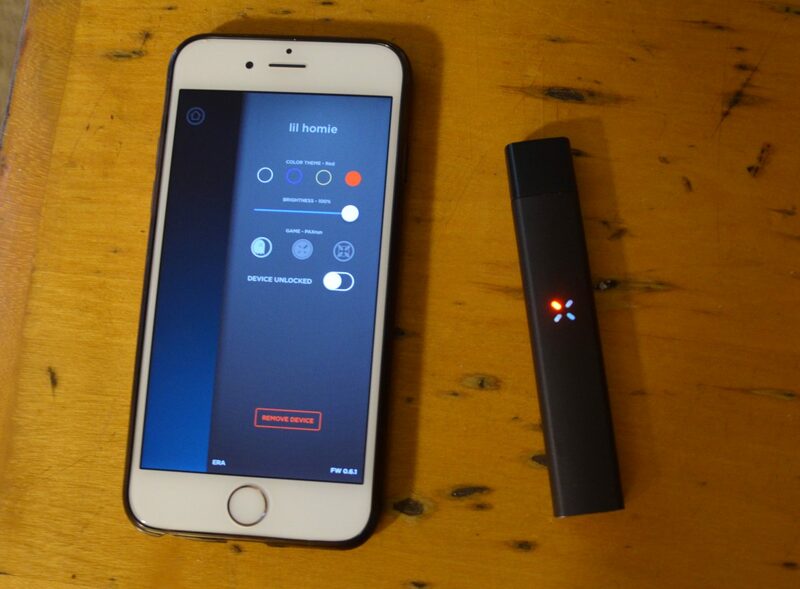 Back in 2013, Pax’s entry dry herb vape — dubbed Ploom — found plenty of fans when Childish Gambino (a.k.a. 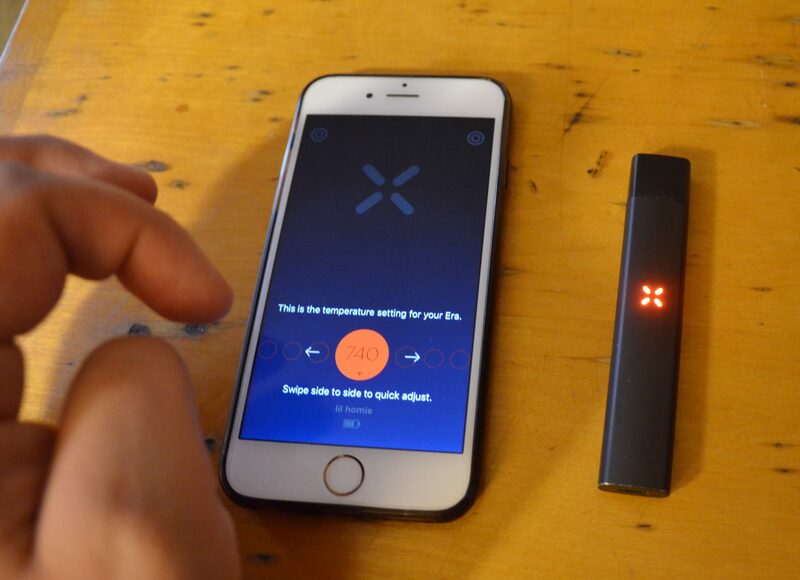 actor/rapper/comedian Donald Glover) puffed on one in his short film, “Clapping for the Wrong Reasons.” The vaporizer’s second iteration, branded Pax 2, made a cameo in the 2015 Season 2 premiere of Comedy Central’s “Broad City.” Pax 3 and Pax Era (along with the inaugural Pax smartphone app) launched simultaneously in Fall 2016. 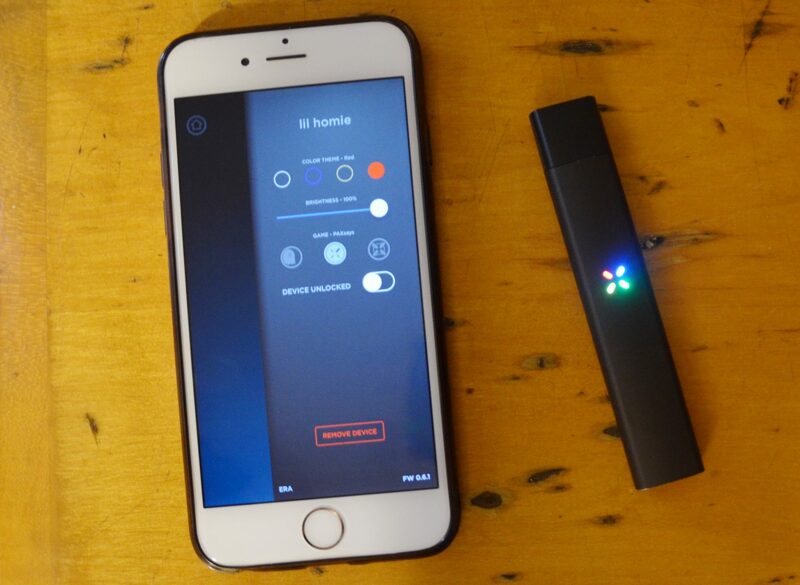 Pax 3 grabbed most of the attention for the addition of concentrate vape capabilities and an upgraded battery, and the app was among the most interesting innovations in cannabis (see below). None of the Era’s predecessors wowed me — it all seemed like mostly marketing hype. While each came close to vaporizing dry herb, they never got hot enough to truly vape it, for my tastes. But hear this: Pax peaks with the masterful, intuitive technology of the concentrate-specific Era. 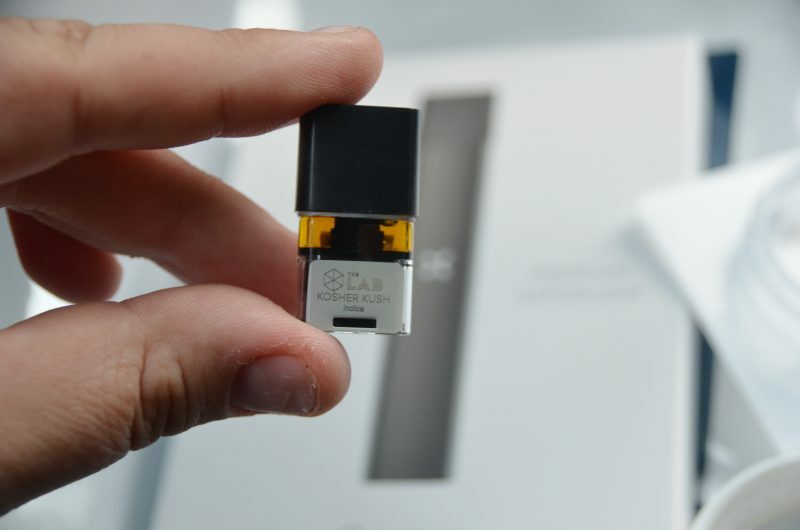 In the year since its Colorado market release in October 2016, here’s why the Era — and its proprietary pre-filled concentrates pods — has had the high-tech vape world abuzz. This is the vape that George Jetson would have used. As you unwrap its concise white packaging, you’ll feel like you’re opening up a new iPhone. 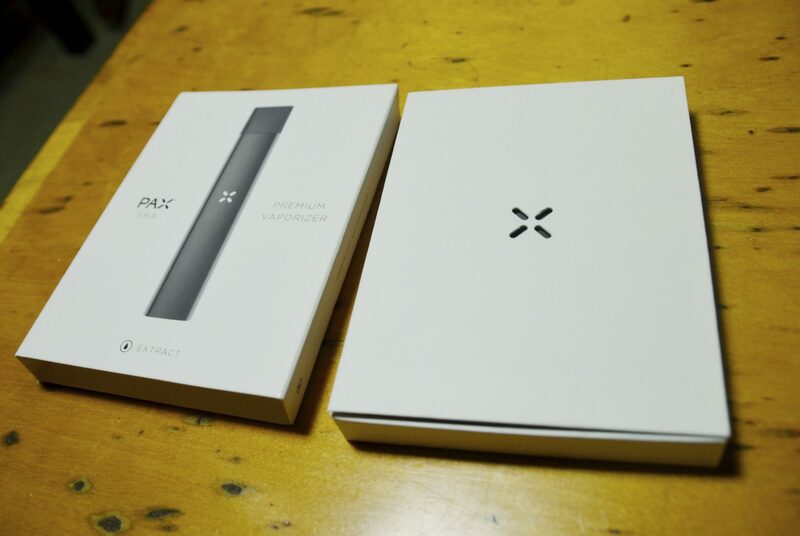 Pax Vapor’s logo depicts four little lines that meet in the center, and you will get to know them well. The fun features first: You can name your Era (mine is Lil’ Homie) and choose a color scheme for the LED (I match it to my mood and/or outfit). Those four LEDs are the interface for three simple games to play while puffing: Simon, Pax Man, and Spin the Pax. I played them the first time I opened the app, and that was it. Completely unnecessary? Yes. Hilarious that these are even an option? Definitely. 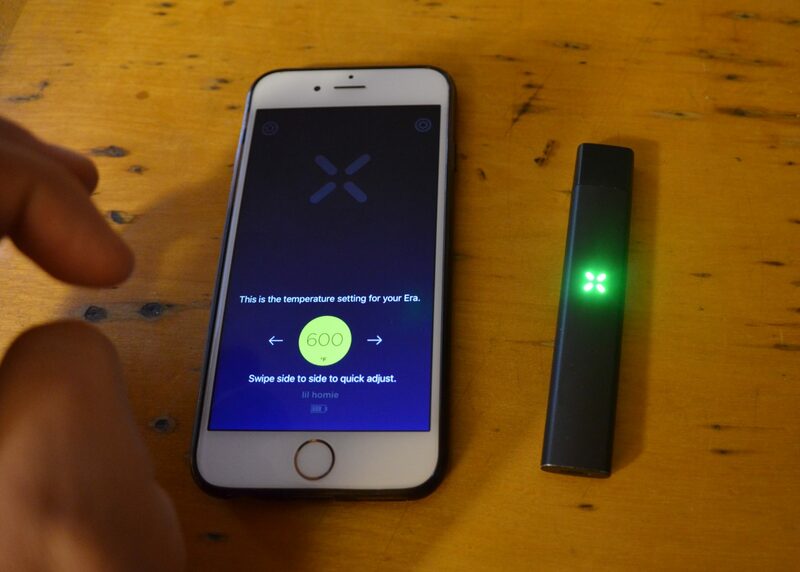 It also knows how forgetful you are, so it turns off when you don’t hit for a few seconds, and the app monitors the battery life left in your vape pen. The most useful app functionality allows you to adjust the heat from 520 to 790 degrees Fahrenheit. Take the time to find your own sweet spot — mine is somewhere around 610 degrees. The lowest heat levels — denoted by green-to-yellow indicators on the app — feel a lot better on your throat and deplete the concentrates pod at a slower rate. The higher temp won’t produce much of a cloud and also tends to drain the pod a lot faster. Pax bills itself as a technology company, not a cannabis company, and has licensed manufacturing of its proprietary pre-filled concentrates pods in five states so far: California, Colorado, Nevada, Oregon and Washington. California’s still-medical pod market is under the purview of Bloom Farms; in Nevada, Matrix fills the pods; Oregon retailer/cultivator Oregrown partnered with concentrates maker Evolvd; and Era sales just launched in Washington, where pods are made by extraction company Avitas Agriculture. The licensing agreements allow for the pods to be wholesale distributed to other dispensaries in their respective states, and in my travels I’ve found that pod producers have expanded their retail partners quickly as demand continues to grow. In my home state of Colorado, The Lab by The Clinic makes three varieties of pods. 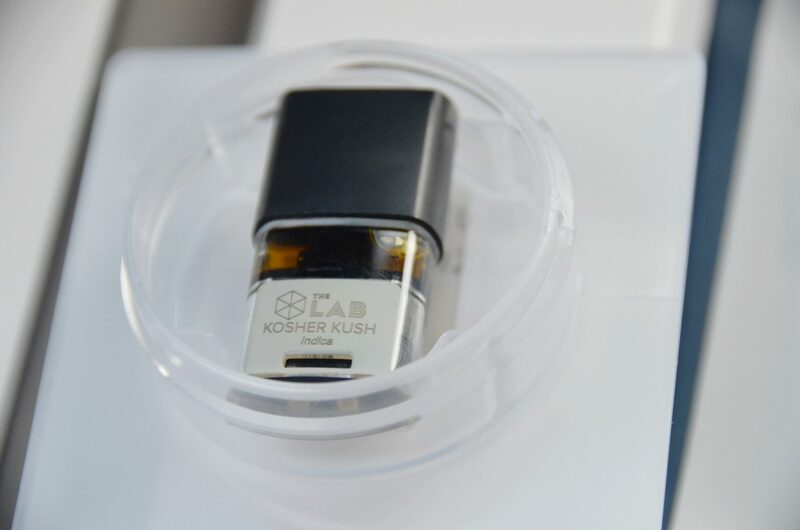 Procuring them can be a bit of a pain, but the effort is worth it after the first puff — The Lab’s concentrates taste amazing with the Pax Era. Their pods are sold in half-grams in three categories: budder ($45 pre-tax), live resin and distillate (both $60 pre-tax). The live resin and budder both are made with propylene glycol (PG), and I prefer their distillate, which is made with a coconut oil base so it hits lighter than PG-based concentrates and to me, is easier on the lungs. The coconut oil-based distillate also has flavors added to it post-production including Orange Creamsicle, Blueberry and Sweet Mint. 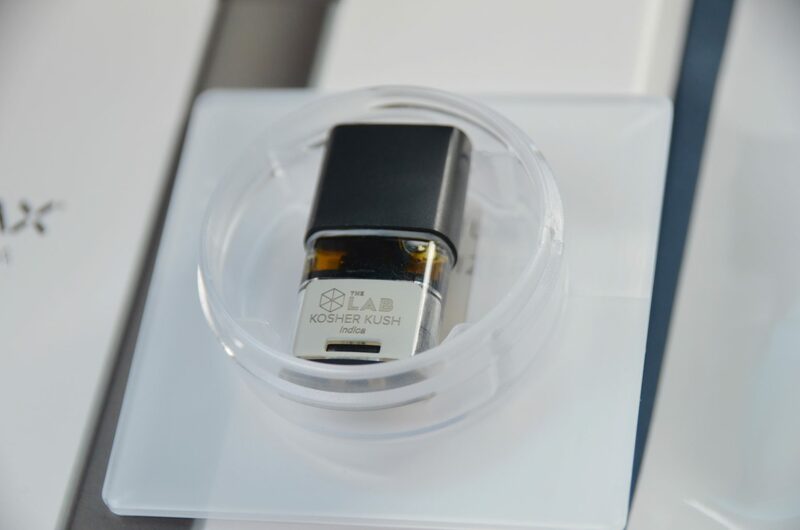 Another consideration: distillate pods contain the highest THC content: 80 percent, compared to the live resin at 75 percent and the budder at 60 percent. The Lab’s live resin pods are tasty too. The company told me that their technology allows them to skip terpene-destroying steps to create their oil. With more terpenes left intact, their pod tastes as close to live resin as any cartridge I’ve encountered, akin to the smell and flavor one can find dabbing live resin purchased by the gram. The Lab offers Coloradans opportunities to score discounts with occasional pop-up promotion at various dispensaries — follow The Lab on social media to track the next one down. In my experience with The Lab’s pods, reliability remains an issue. Somewhere around 5 percent of pods that I have purchased have leaked so that a half-gram pod that may normally last several weeks is empty in several days. I’m so fond of my Lil’ Homie that I’m willing to play those odds. That said, consistency in the pod technology would be one of Era’s few downfalls — though that can’t necessarily be blamed on Pax since their business model puts pods under the purview of individual labs. 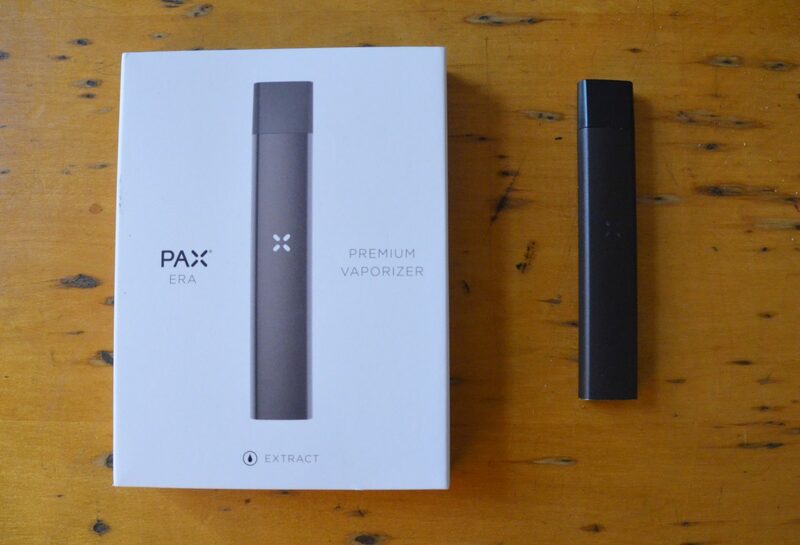 Purchase info: You can find out where to buy the concentrate pods on Pax’s website, and residents of California, Colorado, Nevada, Oregon and Washington can purchase the Pax Era vaporizer online — pod not included — for $19.99 (as opposed to $60 in stores).